Australia is a Westernised nation that exists within the Asian sphere of influence. Despite our geographic position, however, Australia has steadfastly clung to its Western roots, first with Britain and latterly with the US. But with changing times in a changing world it may be time to rethink our traditional and outdated alliances and consider our position relative to our neighbours. There has been a massive socio-economic gap between us and many of our neighbours in the region but now that gap is slowly getting narrower. There are also fundamental societal differences including religion, work practices and familial values. Yet, despite these differences, we have generally managed throughout our history to have been seen as reasonably good neighbours even though there have periodically been some bitter disputes in the past. However, given the way the world is evolving in the twenty-first century one wonders if it may not be time for Australia to consider cutting loose from our obsession with the somewhat arrogant notion that we are a part of the concept of Western exceptionalism and instead consider the possibility of becoming a declared neutral sovereign nation. In doing so, Australia does not have to shed any of the values that it shares with nations that it has been closely associated with in the past, and nor does it need to retreat from playing a role on the world stage. As a neutral nation, Australia would merely realign its role in the world from one of being a co-belligerent with past allies as they head off to their various wars against stereotyped enemies as a result of being entangled with treaties signed to suit bygone eras, to one of being a negotiator and arbitrator in the resolution of modern conflicts and crises and a provider of humanitarian services. Australia is in unique position to adopt the role of an actively neutral nation. We are essentially a Westernised nation with a strong multicultural foundation geographically situated within the Pacific region dominated by a burgeoning Asian economy consisting of competing Asian nations and markets. During stable periods in the world Australia enjoys the best of what both the Western world and the Asian world that is at our doorstep have to offer. But the world of the twenty-first century is changing. America has proclaimed itself the world’s only ‘superpower’. As such, many Americans see their role as being policemen to the world. Unfortunately, this has progressed to some of the more conservative members of American politics also seeing themselves as not just being the world’s policemen but also self-righteously being judge, jury and even executioner whenever trouble looms in places that are within the orbit of what they believe is ‘America’s interest’. While undoubtedly there has been a time when America’s interests have also been Australia’s, the big question for Australia in the twenty-first century is; are America’s interests still unquestionably our interests as well? Sure, without the United States, Australia would never have been able to beat back the Japanese in the middle of the last century – but that was in the last century when total wars dominated the era. Does Australia really have to tie itself to America’s apron strings today because they helped us out during the last century? In today’s world, nations face different challenges. The ideology of American exceptionalism has rubbed off on many Western nations who now see themselves as much more than just ‘defenders of freedom and democracy’ around the globe. Not only do they want to defend freedom and democracy but now they want to deliver it to those who aren’t necessarily ready for it or even want it yet. And, in the case of the Middle East and throughout much of Africa where the Islamic world dominates, many nations like Iraq, Egypt, Libya and elsewhere have for the most part shown their disdain of democracy, or at least, Western-style democracy. As a result, the Western world now faces not only nations that are hostile to America, but now also face non-state entities that are even more hostile toward America and the West than some nations. 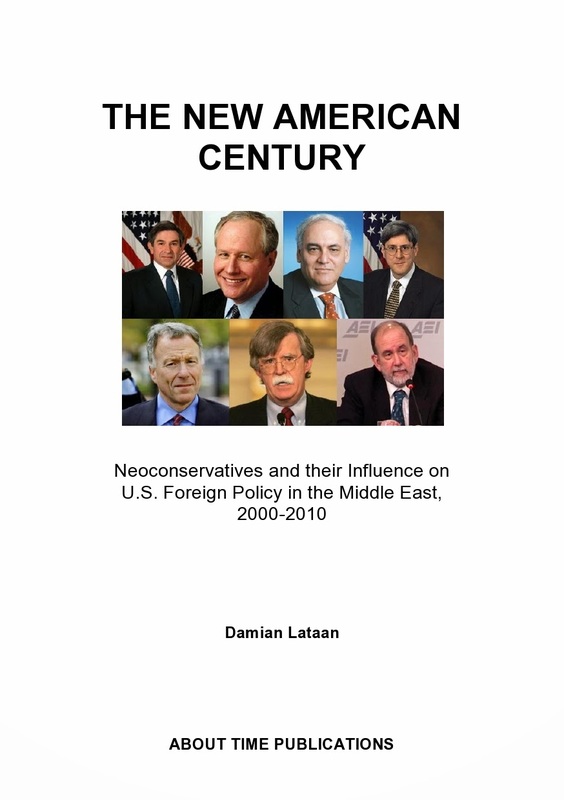 During the first decade and a half of the twenty-first century Australia blindly followed America’s whim and enjoined them in wars that were not in our interests and, indeed, wars that were based on lies and deceit. These wars have cost Australia much in both blood and treasure and even today there is still the prospect that Australia will become embroiled in further conflict at the whim of the United States. In order to continue our alliance with a West dominated by the US, Australia has committed itself at great cost to building and purchasing military ships and aircraft that are designed specifically, not so much to defend Australia, but rather to help project American power into regions that may be theatres of conflict of the future and that are beyond our immediate shores. In continuing to align ourselves with American and other Western interests, Australia is alienating many of our Asian neighbours and trading partners. Recently, for example, the Australian government announced that it would no longer refer to Jerusalem as ‘occupied’ and instead refer to it as ‘disputed’. This effectively has Australia at odds with international law and has in the process outraged many Muslim nations both in the Middle East and in the Pacific region, and in particular our nearest neighbour Indonesia, all of whom are customers of Australian products and who are now considering trade sanctions against Australia. Claiming neutrality, as many nations have discovered throughout history, does not necessarily protect one from attack and nor does it absolve one of their international humanitarian obligations. Germany, for example, ignored Belgium’s neutrality during World War One; the Baltic states of Latvia, Lithuania and Estonia in declaring their neutrality in 1938 and 1939 did not stop them from being overrun by the Soviet Union when World War Two got underway. And just latterly, while the situation in Ukraine is historically complex, Ukraine’s neutrality did not stop Russia from annexing the Crimean peninsula from Ukraine. In short, neutrality will not stop a more powerful country from attacking you if you have something they want and have no other way of getting it. For Australia, however, there are plenty of goods and resources that others may want from us but going to the expense of attacking us in order to get it would be prohibitively expensive. It would be far cheaper to simply purchase that which they want rather than raise an invading army to take what they want. As an independent neutral nation Australia needn’t withdraw into isolationism. Rather than provide military resources to allies when it is not in our direct interests to, Australia, instead, should provide humanitarian resources and services to nations regardless of their alignment on the world stage. In a world where alliances of old no longer necessarily provide security for us or no longer serve our best interests, it may well be time for Australia to have good long hard think about the advantages of being an independent republic and declared neutral sovereign state.